Mazda will be introducing their all new 2016 Mazda MX-5 Miata in the U.S. with a Special Launch Edition of just a 1000 cars! Mazda will open U.S. sales of the Limited Edition Launch model with online pre-orders on May 5th. Registration and information for pre-orders is now available at www.longlivetheroadster.com. Deposits will be accepted until all the 1000 Limited Edition cars are reserved. Mazda expects a rush for the 1000 Special 2016 Launch Edition MX-5 Miata’s, since last year’s 2015 MX-5 25th Anniversary Edition sold out online in just 10 minutes. 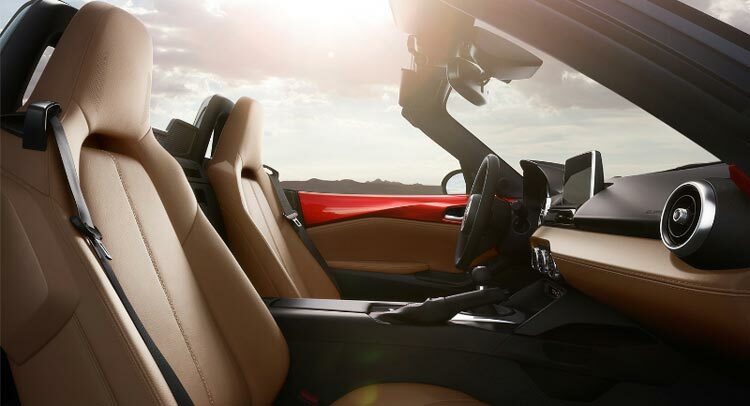 The Launch Edition Mazda MX-5 is based on the premium MX-5 Grand Touring, will come in Soul Red with a Sport Tan leather interior – a color combination exclusive to the Launch Edition for 2016. The Launch Edition will features 17-inch alloy wheels, heated seats, automatic climate control, SiriusXM® satellite radio, MAZDA CONNECT™ Infotainment System with navigation, a BOSE® nine-speaker audio system, i-ACTIVSENSE safety technologies, including blind spot monitoring with rear cross-traffic alert, lane departure warning and automatic high-beam control, among other amenities. Customers who take delivery of an MX-5 Launch Edition also will receive a Mazda-branded BOSE SoundLink® Mini Bluetooth® speaker in a gift box, along with select items from Mazda’s upcoming Heritage Collection apparel line. 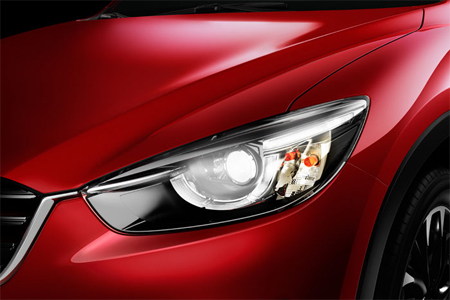 Mazda CX-5 has improved functionality and refined design. The Mazda CX-5 has been an amazing success for Mazda since it’s appearance in 2012 but perhaps it’s most important attribute is it’s ability to change. While the body, chassis and suspension remain the a sound foundation and the SKYACTIV® TECHNOLOGY providing 35 MPG/hwy the back-bone; refinements enhance not just appearance but functionality as well. A Larger LCD screen makes the backing-up screen easier to use, displays more information from the available navigation system and allows the MZD Connect Infotainment system to display more features.shed one color for another, the Mazda CX-5 has kept current with refinements like LED Headlamps, which last longer and shine brighter while requiring less power. 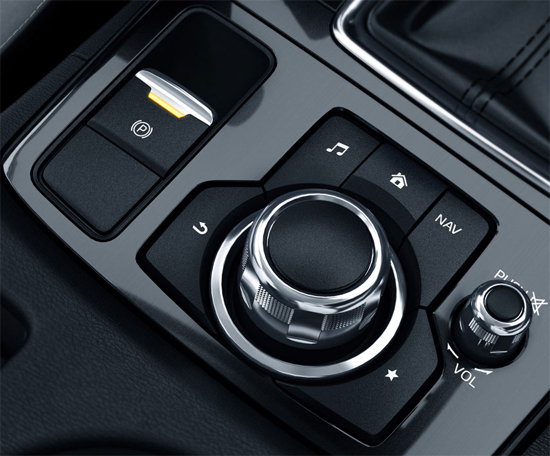 Like many high-line nameplates, a Commander Control switch adds a tech touch that reduces distraction while allowing the driver to access more features while operating the Mazda CX-5. In Your center console you’ll also find an electronic parking brake which replaced a clunky handle. The interior boast sleek refinements that make the most discriminating stop and take notice. Form, Function Fun; the Mazda CX-5 aims to please.